The unparalleled and acclaimed quality of Havana Club Anejo 7 Year Old is a tribute to the traditional Cuban rum-making process and knowledge. The lengthy and natural ageing process in white oak barrels infuses the rum with its powerful and complex flavours. 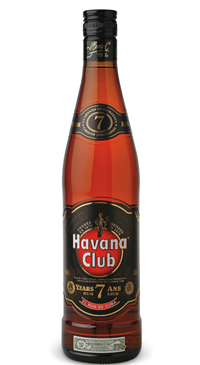 Havana Club 7yr rum has a deeper and darker profile than other similarly aged rums with plenty of caramelized fruit, cocoa powder, liquorice, and black coffee flavours lifted by brown sugar and baking spices on the finish. This is for those who want something a little more indulgent.